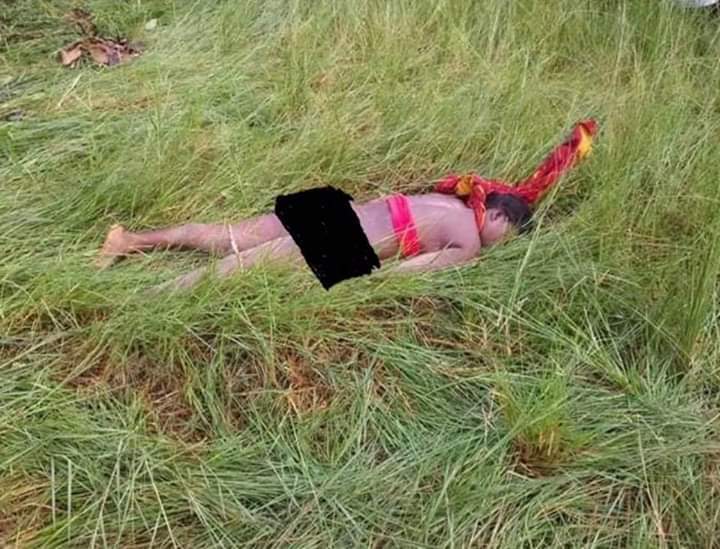 An 18-year-old girl, Miss Ngozi Eze, has been raped to death by unknown persons in Enugu Ezike, Igbo-Eze North Local Government Area of Enugu State. The deceased’s body was found in a bush behind Community Secondary School, Imufu, several hours after her family declared her wanted. Ngozi’s father, Jonathan Eze-Eze told the crowd which gathered in the bush where her daughter’s corpse was found that he took her on his motorcycle to the Township School, Ogrute, Enugu Ezike, where she went for JAMB lessons on Tuesday evening and went back later to pick her only to be informed that somebody had given her a lift. “The perpetrators of this heinous crime will be exposed. God will not allow His creation to be humiliated this way, without punishing them adequately,” Nwanonenenyi said. One of the detectives told Vanguard at the scene that close observation of her corpse showed lacerations on around her neck and ankles, suggesting that she must have been strangulated by her rapists, even as some of her books, pens, handkerchief and shreds of her clothing were scattered around the scene.